NEET Dress Code – What is Allowed and What Not? Home Exam	NEET Dress Code – What is Allowed and What Not? NEET dress code is a mandatory requirement to be fulfilled by the students appearing for the NEET examination. The National Testing Agency (NTA) has prescribed dress code for all the students appearing for NEET 2019. Earlier, CBSE was responsible for deciding the dress code for students. The key reason behind introducing the NEET dress code is to avoid the use of any unfair means during the examination in the exam hall and ensure fairness and sanctity while conducting the exam. Non-adherence to the prescribed dress code can lead to strict actions against the candidates. What should a student wear? What are the things that a student should not take in the examination hall? Is the dress code applicable for both male and female? 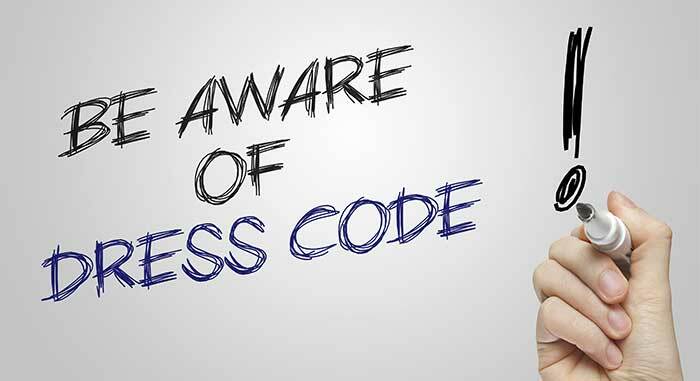 Get answers to all the questions related to NEET dress code in this article. It highlights the things that are allowed and the things that are not allowed for both male and female during the NEET examination. The NTA permits a limited number of things for the students to wear and carry in the examination hall. Despite carrying the NEET admit card and identity proof, the students also have to ensure that they wear outfits that are acceptable as per the latest NTA dress code released. The list of outfits that students, both male and female can wear during the examination are mentioned in the table below. It is advisable for the students to prefer wearing light-weighted clothes to ensure easy frisking while entering the examination hall. Note: The students, who necessarily need to wear any cultural or customary dress, are required to report at the examination centre at least one hour prior to the time specified in the NEET admit card. The reporting time for such candidates is 12.30 p.m.
NEET Dress Code – What is Not Allowed? While NTA has specified the things that a student should take within the examination centre in its NEET dress code, it has also specified a detailed list of things that are not allowed in the examination hall. A detailed list of such things is given in the table below. What kind of clothing you should avoid? What kind of footwear to avoid? What are the eatables to carry? The answer to all these questions is covered in the table below. 3. Other Items Tea, Water Bottles, Coffee, Snacks, etc. Note: Exceptions in terms of food items are applicable to students with diabetes. They can carry fruits, sugar tablets and a transparent water bottle inside the examination hall. However, prior permission is required to do so. In its specifications related to the NEET dress code, the NTA has also listed some items that the students are not allowed to carry in the examination hall. The students appearing for the exam, have to undergo extensive checking before getting an admission into the examination hall. All the examination centres are equipped with highly advanced and sensitive metal detectors to ensure stringent frisking of the students. If any student is found possessing any of the barred items inside the examination hall, strict actions will be taken against him/her as per the provisions specified. The complete list of barred items is mentioned in the table below. 1. Stationery items such as written/printed textual material, pencil/geometry box, paper bits, calculator, plastic pouch, scale, pen, pen drives, writing pad, calculator, eraser, log table, electronic scanner/pen, etc. 2. Any kind of communication devices such as mobile phones, earphones, microphones, Bluetooth device, health band, pager, etc. 3. Items such as Handbags, Wallet, Goggles, Cap, Belt, etc. 5. Wristwatch, camera, bracelet, etc. 6. Any kind of packed or opened eatable item, water bottles, etc. Note: All the students appearing for the NEET examination are advised not to bring any of the items mentioned in the table below as the examination centres will not make any arrangements for keeping those items. Also Read: NEET SYLLABUS – WHAT YOU MUST PREPARE?